Crispy bacon. Are there two sweeter words in the English language? There are a million bacon cooking techniques out there, but none beats this. If you've been following along with my air fryer journey, it should come as no surprise that I talk about air frying as much in real life as I do on this blog. I take basically any opportunity I'm given to talk about my air fryer - hair dressers, therapists, my husband, random passerbys - no one is spared the intimate details of my love affair with this crispy-food-yielding device. That's right. 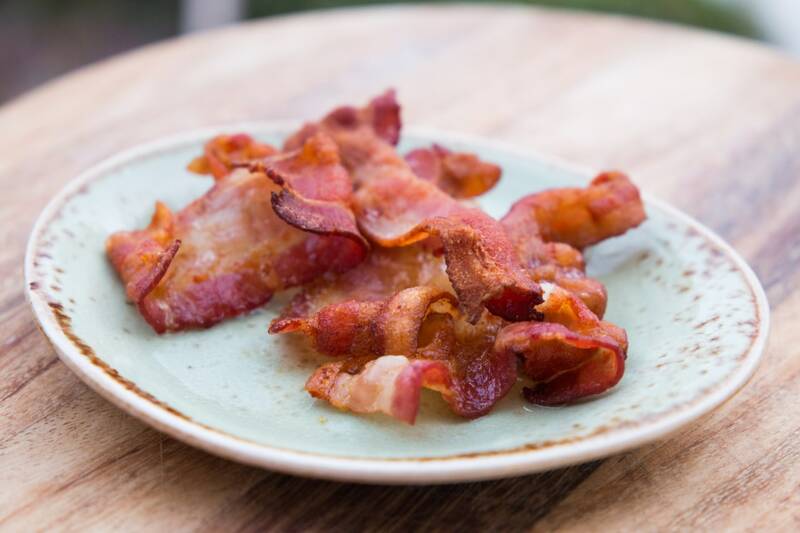 People can't stop talking about air fried bacon. It can't be that good, I thought. I've cooked bacon in a skillet, on a baking sheet, on a rack suspended over a baking sheet, in the microwave, and although there are slight differences, bacon's bacon! It's always delicious! Well, I was wrong. In an air fryer, the hot air circulates perfectly all around the bacon, so each side is perfectly crispy. 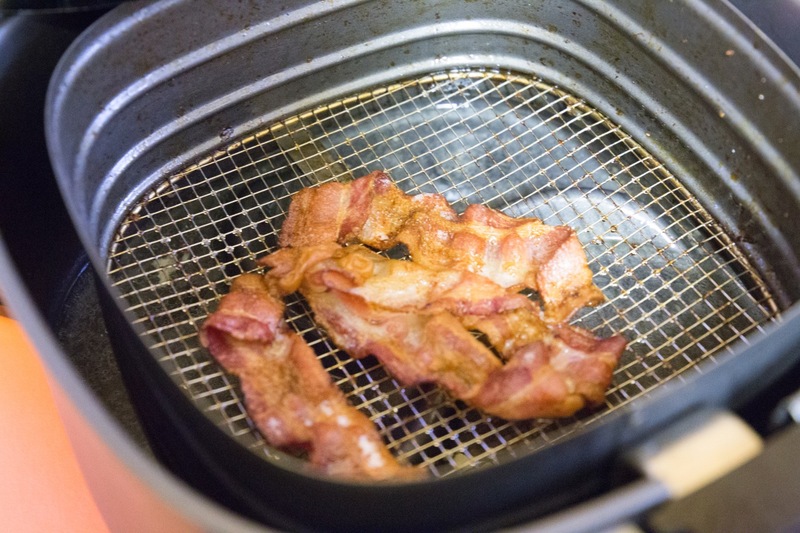 My air fryer basket is basically stainless steel mesh, so the bacon grease all dripped to the bottom of the device, versus cooking bacon in a skillet or on a bacon sheet, where the bacon ends up cooking in it's own grease. This made the air fried bacon perfectly crisp, and not greasy at all. Have I convinced you yet? Maybe seeing how ridiculously easy this bacon is to cook will do it. 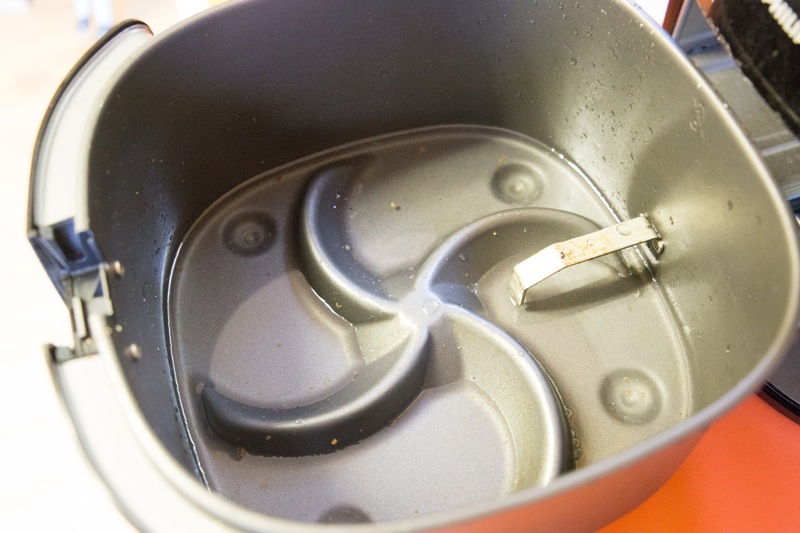 Pour about 1/2 inch of water into the base of your air fryer. This will help reduce the amount of smoke that is created when the bacon grease drips down into the base of the fryer. If necessary, cut the bacon into pieces to fit into the air fryer basket. 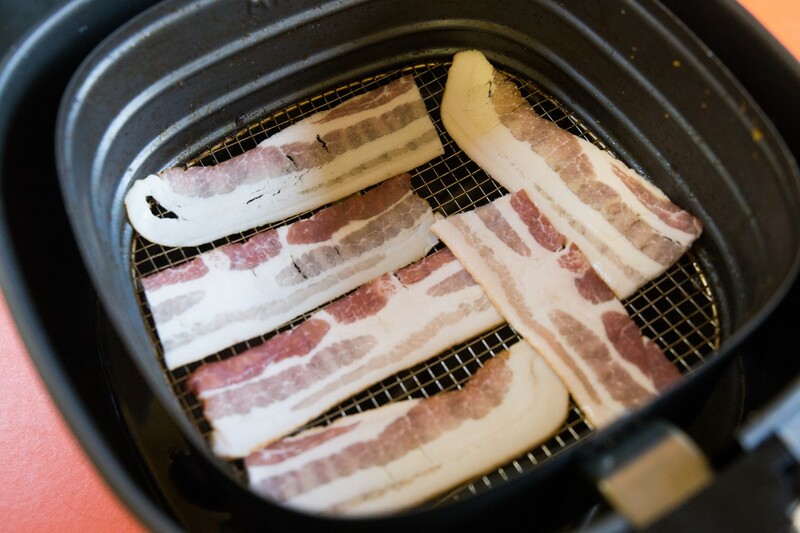 Place the pieces of bacon into the air fryer basket, overlapping the bacon as little as possible. Air fry for 9 minutes at 350°F. If your bacon isn't quite crispy enough, air fry for another minute or two until done to your liking. 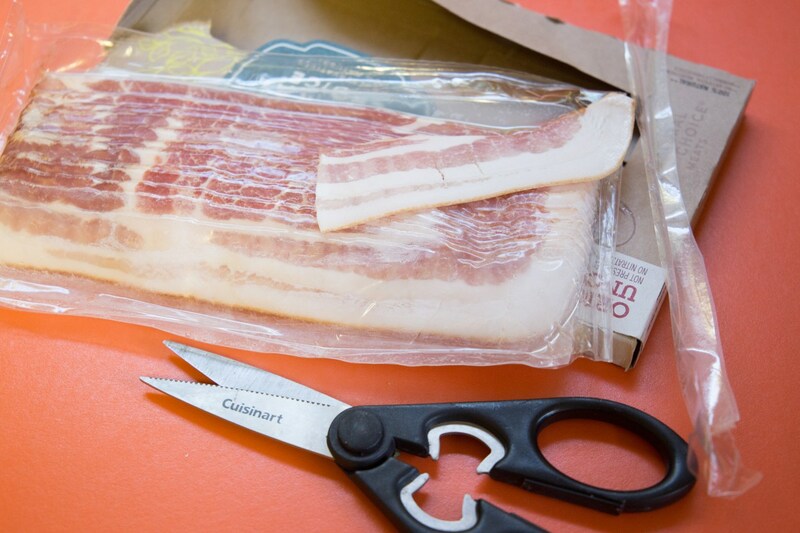 Similarly, if you're using thinly cut bacon versus thick cut, cook for a minute or two less so that it doesn't burn. Meet the most perfect bacon of your life! Happy air frying!